Mure Mure on the wall! Well, hopefully not on the wall. Mure Mure Blackberry Sour is a very light lacto kettle sour. 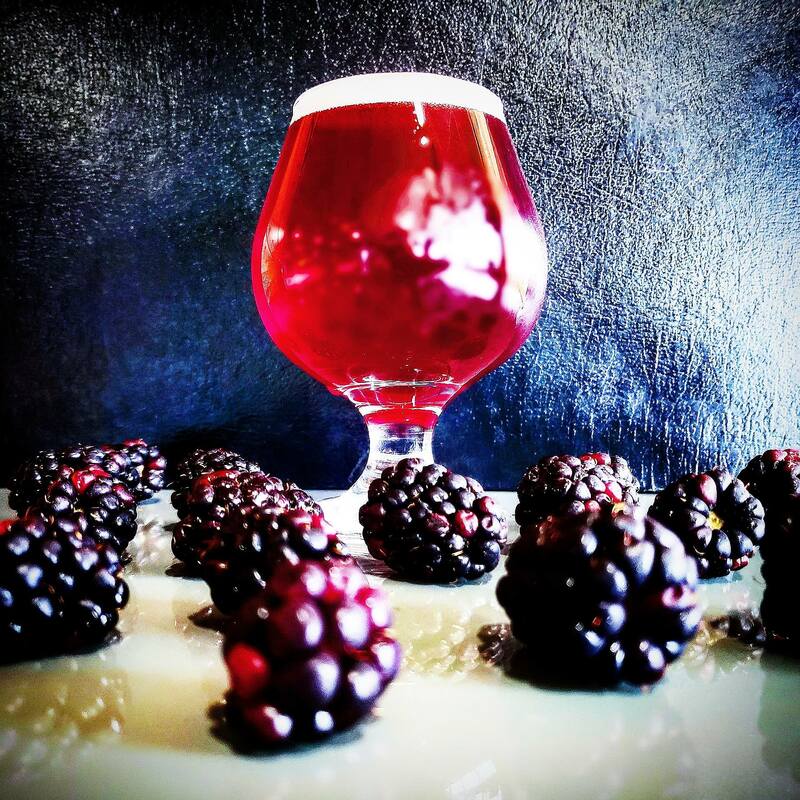 We make this beer 200 gallons at a time, and add over 130 pounds of blackberries to each batch! This beer has a distinct lacto tartness (think “greek yogurt”) but a fair amount of the sourness comes from the fruit itself. This beer is slightly sweet, with a slightly dry sour mouth feel. A minimal dose of hops balances the beer and helps to remind your palette to find the hop and grain structure that make this a beer and not just a big glass of blackberry juice!